ALFRED – A man accused of killing his roommate in Old Orchard Beach was ordered held without bail Wednesday. 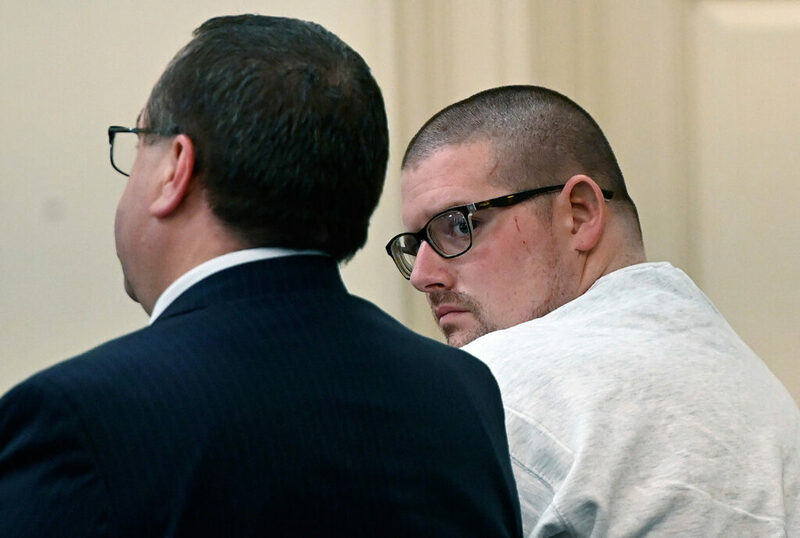 Dustan Bentley, 30, is accused of killing 65-year-old William Popplewell on Monday in the apartment they shared on Boisvert Street in Old Orchard Beach. Popplewell died from stabbing and blunt force trauma, according to an autopsy report by the state Medical Examiner’s Office. Bentley, dressed in a white sweatshirt and khaki colored pants, did not speak during his first court appearance Wednesday afternoon in York County Superior Court. Defense attorney Robert LeBrasseur told Judge Daniel Driscoll that his client understood the charge against him. Driscoll ordered Bentley held without bail. An affidavit in the case has been impounded, according to court clerks. A criminal complaint filed by Maine State Police Detective Ethel Ross said Bentley intentionally or knowingly caused the death of Popplewell. No further information was available Wednesday about the killing or the evidence against Bentley. Holmquist did not explain how Bentley’s mother knew that her son’s roommate was dead. The men met about two years ago at Portland’s largest homeless shelter, but it was not clear how they ended up sharing the Old Orchard Beach apartment, Holmquist said. They had been living in the apartment for about two months. Since 2016, Bentley has been convicted of assault, unlawful possession of a scheduled drug, criminal trespass, theft by receiving stolen property and violating conditions of release, according to state records. All of the charges were misdemeanors.